Featuring an innovative semi-rigid exoskeleton design for extra stability and structural integrity, the Aqua Sphere K180 ladies’ swimming goggles provide unrestricted 180-degree vision with curved, purple-tinted lenses. There is an innovative ultra soft Softeril® gasket to prevent water leaking inside, and superior comfort during swims. The lenses ensure maximum protection from sun radiation, and the goggles are supplied with three interchangeable nose bridges to deliver water-tight, adjustable fit. for submitting product information about Aqua Sphere K180 Ladies Swimming Goggles - Purple Lens We aim to answer all questions within 2-3 days. 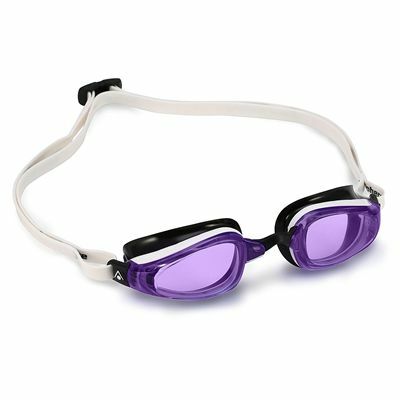 for submitting product information about Aqua Sphere K180 Ladies Swimming Goggles - Purple Lens. We aim to answer all questions within 2-3 days. If you provided your name and email address, we will email you as soon as the answer is published. for submitting product review about Aqua Sphere K180 Ladies Swimming Goggles - Purple Lens.